What is your passion? Are you into football, art, charity work or music? Everyone has a passion but not everyone feels talented about it. There are some people who think they'll never succeed and hence will never pursue their passion to the fullest. Yet no matter the odds, no matter how unlikely you are to succeed, when you put in the efforts you get better and better at what you like, and can reach the highest level. Don't we all want to be number one in what we love, and surprise other people when we do it? 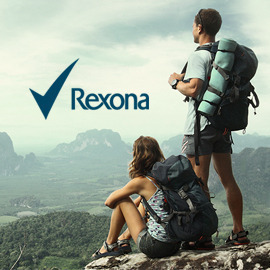 Rexona, the leading deodorant brand won’t let you down no matter how much you sweat to pursue your passion. Now that you know that there is nothing to hold people back from achieving what they want, how could you encourage people to get out of the couch and do more? Surprise us with a very entertaining, unpredictable yet motivating video where someone unlikely to succeed achieves the highest level in their passion by putting in the efforts, the wit and the sweat. Get creative and submit your entries by 28 September 2014! Looking forward to seeing your entries!